When you’re travelling with family you want your final destination to be a one-stop-shop. From pools and spas to beaches and restaurants, these Ontario resorts have it all. Pack up the kids, even the pets, and get ready for a fun (and even relaxing – who thought that was possible with kids) family vacation. Nestled in the Canadian shield on the shores of Lake Joseph, Rocky Crest Resort is a full-service waterfront resort suited for any golf-loving family. With rolling fairways and awe-inspiring natural beauty, this resort is the ultimate golf vacation destination in Ontario. But the fun doesn’t stop there. Rocky Crest also offers comfortable and spacious amenities (cottages, cabins, suites), incredible restaurants, sandy beaches, spas, magnificent forests, natural wetlands, paths, trails and more. Take the kids for a ride in a paddle boat, lay lakeside at the dock, or even take a dip in the heated outdoor pool – with all to see (you may even catch a glimpse of some wildlife) and do, you never have to leave the resort! Are you looking for the perfect balance of family time with personal interest? Then look no further than Fern Resort. 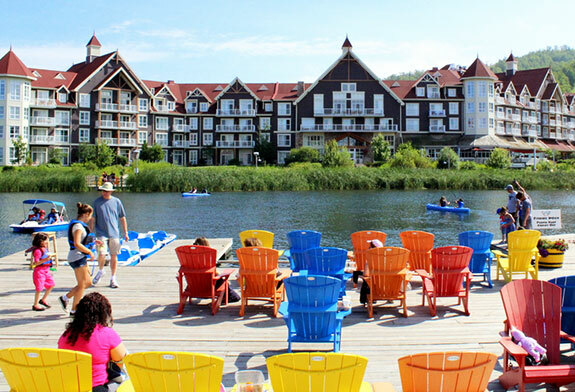 Located in Rama, the heart of Ontario’s Lake Country, this all-inclusive format resort ensures you’ll experience nothing but fun and relaxation. With everything from cooking to cleaning looked after, mom can enjoy yoga and dad can enjoy fishing while the kids explore and enjoy everything the property has to offer. From dining, staff-led activities, fun on the water, and fun on the fairway – this resort truly has it all. It even has an on-site theatre where a range of professional entertainers will have the entire family laughing and amazed. Viamede Resort is a historic, full-service resort with 2,000 feet of magnificent Stoney Lake shoreline. The property offers 165 acres of unspoiled wilderness in addition to 6km of private forest trails, indoor and outdoor pools, a sandy beach with a play structure, landscaped gardens, a historic wedding chapel, working farm with livestock and vegetables (used in their own restaurant) and so much more. And the fun doesn’t stop there. Take a jump on the water trampoline, hit the water on a paddle board, or even walk the trails with your favourite furry friend (yes, pets are welcome too)! Viamede, a landmark since 1885, is truly boldly different. Blue Mountain is Ontario’s largest mountain village resort. Nestled between the Niagara Escarpment and the shores of Georgian Bay, Blue Mountain is truly picturesque during any season. Eat, shop, relax and play all in one spot. With a variety of family-friendly attractions, from paddle boating on their private lake exploring to artisan shops and wonderous caves, there’s something to see and do for all ages. And if you’re craving a little rest and relaxation – they have that covered too! Just hop on over to the beautiful indoor/outdoor Scandinave Spa for a massage, yoga, or hot bath. Did we mention they have lodging too? Hotels, private cabins… Blue Mountain Resort has truly thought of it all. This family owned lakeside resort will make you feel at home. The location is ideal, with modern cabins nestled among tall pines overlooking Stoney Lake. At Pine Vista, you can enjoy a fabulous family getaway at a very affordable cost. Guests can prepare all of their own meals in their own fully-equipped and private cottage, townhouse or suite. There’s exclusive use of sandy beaches, heated pool, indoor and outdoor hot tubs, canoes, kayaks, games room and more. Families can take advantage of the Kids Klub, or take-part in the fun organized activities for teens and adults. 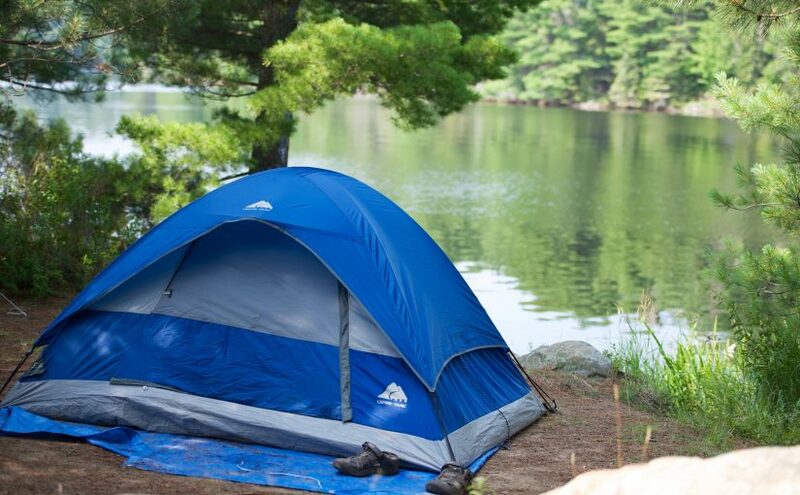 This is the perfect setting for your Kawartha family vacation. Bayview Wildwood Resort is the perfect vacation destination to stock up on family time. Voted one of the best summer vacation family sports by Today’s Parent Magazine, this resort truly leaves nothing untouched. Packages include three meals daily, children’s programs, endless activities (such as tennis, hiking, boating, watersports, beaches, basketball and more), accommodations and evening entertainment. Explore the beautiful Ontario Nordic Trails or take a ride on an ATV – there is indoor and outdoor entertainment for the whole family. 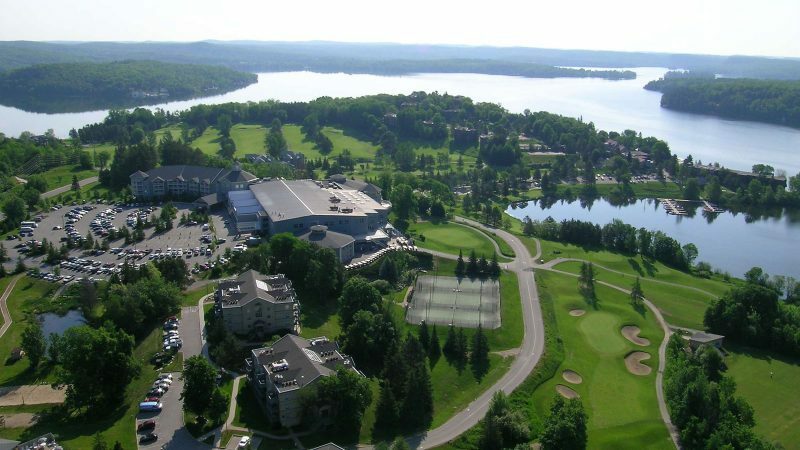 With modern amenities, it’s hard to believe Deerhurst Resort is one of the oldest resorts in Muskoka. Their charm doesn’t fall short and neither do their activities and excursions. Now bear with us. There’s waterfront activities, Yamaha riding adventures, treetop trekking, farms, escape cabins, hiking, tennis lessons, fishing charters, paintballing, summer camps and guided nature experiences. Not to mention their golf, spa and dinning offerings. This resort leaves no box unchecked and is the perfect destination for any adventurous family. Located in the world-renowned Niagara Falls, this welcoming retreat offers over 300,000 square feet of resort and attractions. 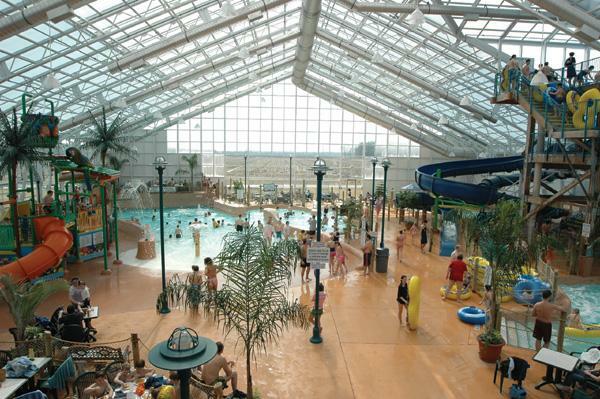 The main attraction is the Waves Indoor Waterpark, featuring balmy tropical weather all year long, private cabana rentals, wave pool, slides, kiddy and toddler pools, water play structures, hot tubs and more. Their facility also offers food and bar services, a surf shop, hot-tub, breakfast buffet, ultimate spa services and beautiful amenities. And if you feel like exploring outside of the hotel, you’re steps from Lundy’s Lane and beautiful Niagara Falls. 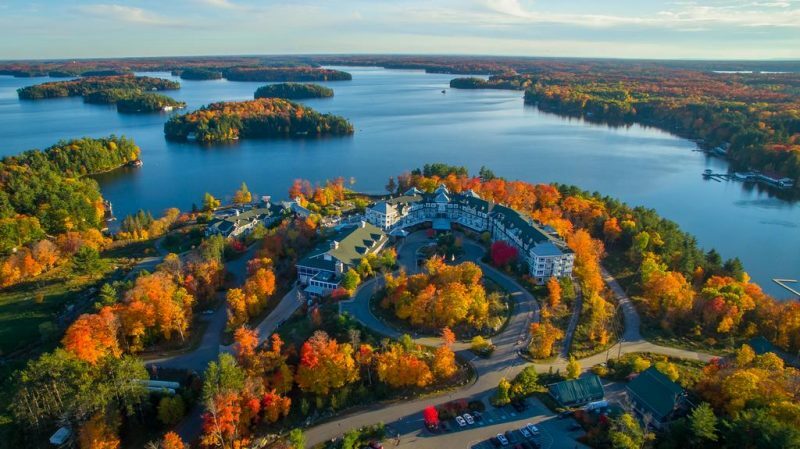 The JW Marriot, overlooking Lake Rosseau, is one of the top luxury resorts in Canada. Bike rentals, canoes, paddle boats, kayaks and scavenger hunts are all included in your stay. But there’s also so much more. For an added fee the resort offers a plethora of activities for kids to adults, from birdhouse decorating to kite building. Along with four restaurants, the resort offers a full-service spa, private beach, nature trails, indoor and outdoor pools, bonfires and cozy indoor fireplaces. It’s the perfect combination for both relaxation and adventure. There’s rarely a dull moment, and the exquisite rooms with stone fireplaces will not disappoint. 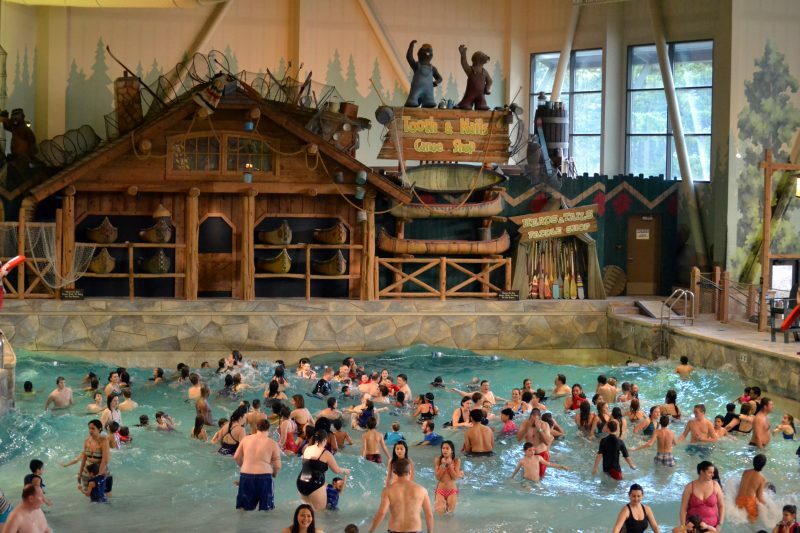 When it comes to kid-friendly resorts, Great Wolf Lodge Niagara Falls sets itself apart by offering the ultimate water park experience and incredible amenities all under one roof. Swim, splash or slide, relax in a private cabana, or take advantage of shopping options, arts and crafts, delicious dining and other activities that change on a daily basis. Then head back to your themed room (from cave-themed suite to cabin theme) and rest up before tackling your next adventure. With so much to see, do and experience, you may never want to leave.